Básicos ótimos a preços ótimos :D Gosto disso! Great basics at great prices :D I like it! Adorei a camisa.. super diferente :)!! Gostei muito do look, mesmo chic! :) e a trança está mesmo bonita! chipper and amazing clothes!!! you are so pretty with them. Andei a procura delas mas já nãos as encontrei! Me encanta el outfit, estás muy guapa!! Me encanta el bolso, es precioso! love your whole outfit, you look fantastic! Acho que este foi o meu look preferido até ao momento, adorei!! 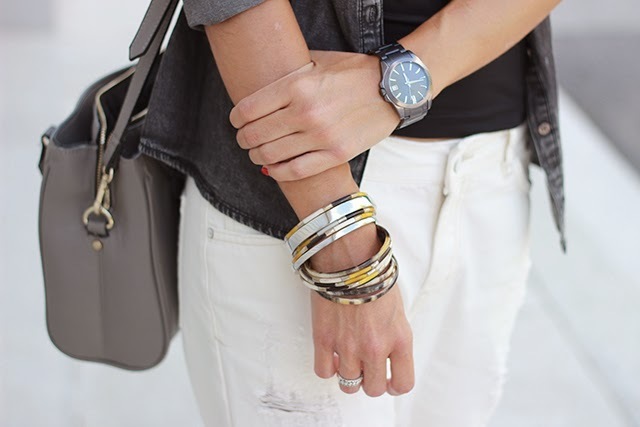 Great way to wear boyfriend! Love the lace details on your jacket! you look stunning,love detail on your shirt. que gira, adoro o look! R:. Repetir o verão todo era tãoooo bom!!! The shirt is so cool! Love whit the boyfriend jeans! You are so beautiful dressed , really nice combination , shoes are perfect ! Great look! 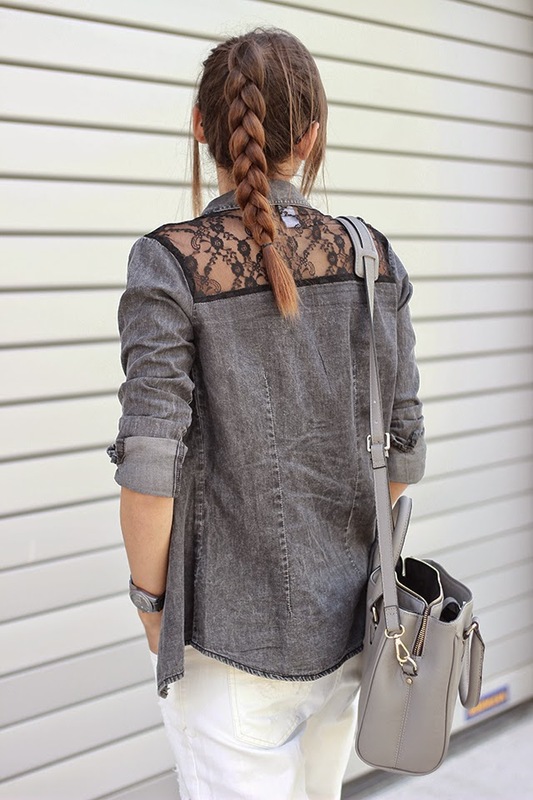 I love the lace details in that shirt! You do look fantastic in this outfit...amazing black shirt with lace details! perfect white boyfriend jeans! gorgeous black sandals!!!! Adoro as calças, embora nem goste de ver-me com calças assim tão rasgadas!